If you’re thinking about investing in vacant land but don’t want to spend your own money to do it then make sure you read this blog post ASAP because we reveal 4 ways to buy investment land with little or no money down in Georgia! Investing – it’s not just about buying low and selling high, it’s also about buying the smart way and even using as little of your own money as possible. If you want to buy investment land, vacant land, or raw land, there are many ways you can do it without using very much (or any) of your own capital! 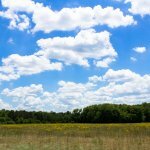 Here are 4 ways to buy investment land with little or no money down in Georgia. Savvy investors know that investing in real estate is about buying at the right price with the right mix of capital. Many great investments are made even better by buying them with little or no money down so make sure you know these 4 ways to buy investment land with little or no money down in Georgia.